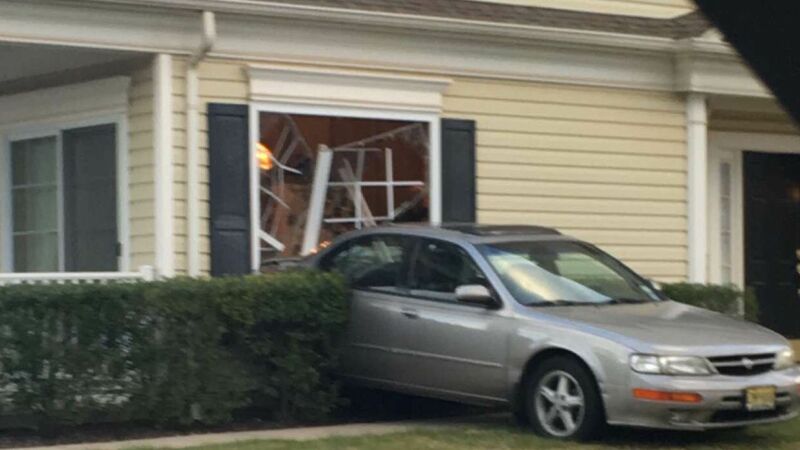 FRANKLIN TOWNSHIP, New Jersey (WABC) -- A family in Somerset County, New Jersey, got quite the scare Monday evening, when a car plowed through the side of their home. It happened just before 6:30 p.m. on Stone Manor Drive in Franklin Township. Police said the driver of the car, a 35-year-old woman from Orange, told them she was backing out of the driveway of a nearby house when her foot got stuck on the gas pedal. The car accelerated and crossed the road, going over the curb and into the side of the home. The Franklin Township Police Department said there were people home at the time, but no one was injured. The driver of the car was also uninjured. The driver of the car was cited for careless driving.